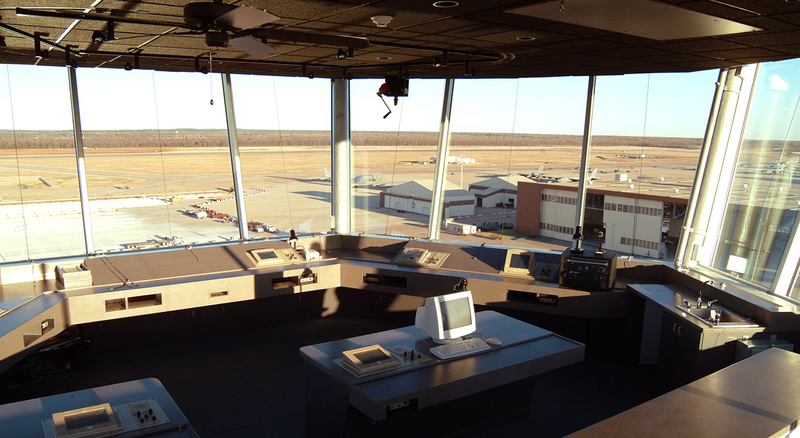 This project is a new twelve-story fully operational aviation control tower for Barksdale Air Force Base. 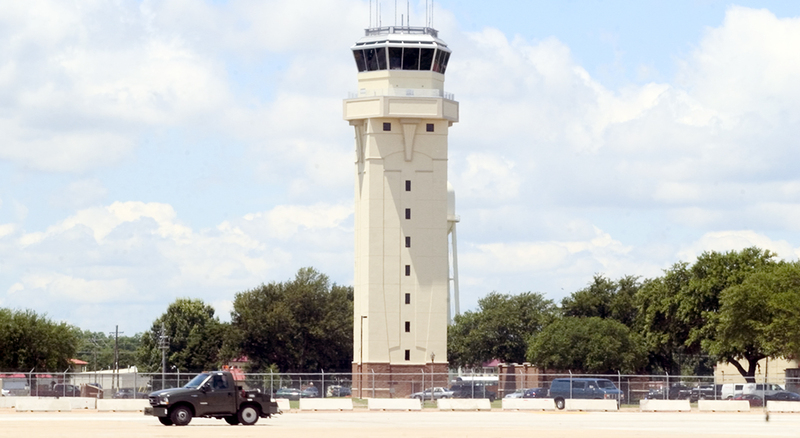 The showcase design meets strict Base Architectural Standards and also blends very well with the adjacent architecture of Historic Barksdale Field while adhering to Air Force Control Tower standards. 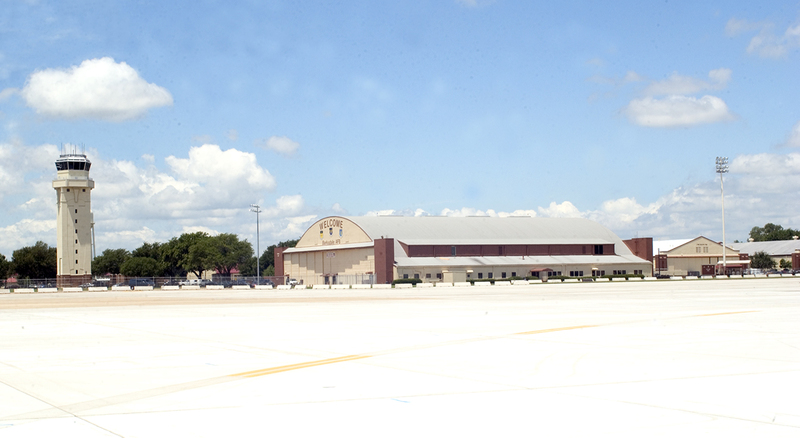 Architectural Struts, reminiscent of keystones present in much of Barksdale’s architecture, elegantly transition the rectangular base to the hexagonal catwalk and cab portion at the top. Adjacent to the tower is a secure mechanical yard that contains a back up diesel generator, chillers, and transformers. All parts of this mechanical yard are screened from view for architectural compatibility using the same split-face block materials as the lower portion of the tower. The interior of the tower contains several levels of offices, 2 levels of electronics, a brake room, a mechanical room and a control cab. The cab itself is intricately filled with specialized electronic, communication, mechanical and architectural features.